It is NOT yogurt! It is a creamy probiotic dairy beverage. It is gluten free and available in 12 flavors in low fat, nonfat, whole milk, children’s (Probugs™) both low fat and whole milk organic, and low fat organic varieties under the Helios brand. Healthy Lifeway Kefir products are filled with more beneficial cultures than other fermented milk products. For Everyone an ideal milk substitute for infants, pregnant women, nursing mothers, patients recovering from illness and the elderly. The package these frozen treats come in can be used for a variety of upcycled crafts. We made a sconce or holster for craft supplies or flowers out of ours. Simply wrap your cleaned package with the duct tape and adhere the Velcro. Stick where ever you find a need to store handy tools! I put a couple on my craft cabinet and a few in the kitchen for dried flowers. My grandma has a fantastic greenhouse, but on occasion her animals get in there and wreak havoc. I was trying to salvage the remnants of a geranium that fell victim to her chickens and realized I could take clippings from the broken plant and start new plants. I instantly thought of the Probugs containers! The kids were thrilled to have to have another treat so I could use the packaging. These worked out perfectly and once the geranium roots are established, I can just clip off the bottom of the containers and plant as is. I’m so excited to see your post on Kefir. I drink it daily – yes it is yummy! I’ve never even heard of this brand, but will definitely have to keep my eye open for it when I am at the store. 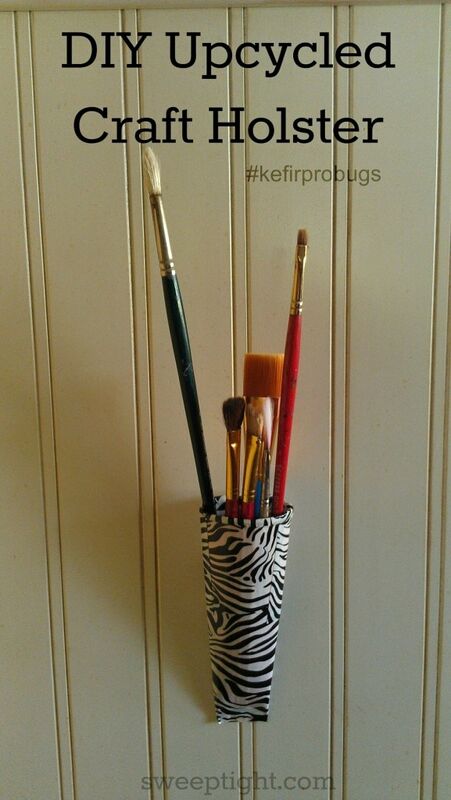 I LOVE the upcycling ideas, too – how awesome is that? I love upcycling things, you did a great job. I have never hard of Probugs, but would like to try it! I love the idea of using them as plant starters! I would have never thought about that! 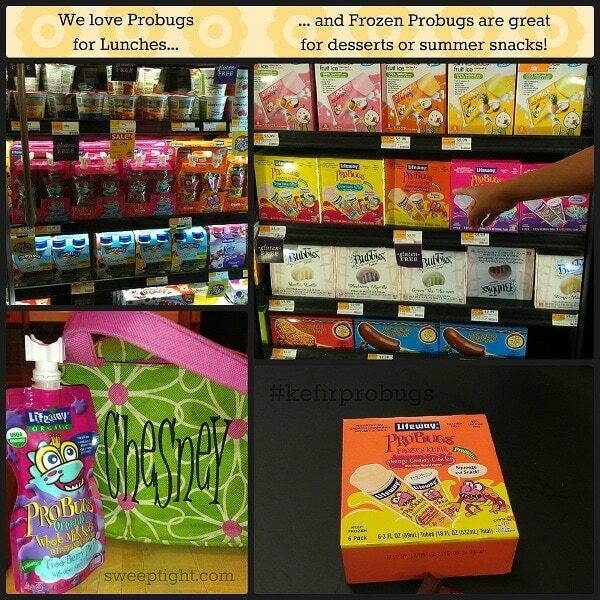 I have been meaning to try Lifeway Kefir, and these Probugs are now another reason to try the Lifeway products. Thanks for sharing! I really want to try the Probugs products. Very cool! GREAT idea for the packaging to be reused! 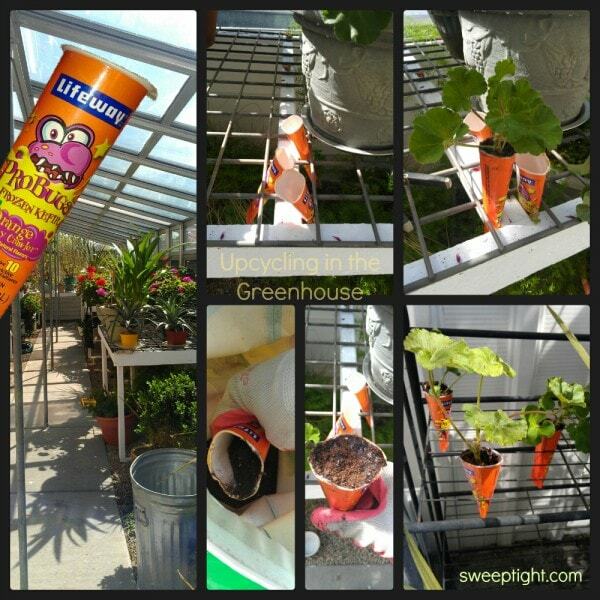 What cute ideas to get healthy and then upcycle. I like it! This is such an awesome DIY idea, so cute and clever! We need to try those too, nom nom! Isn’t Kiefer tasty? Love the upcycling idea! Great DIY and thanks for the heads up on Kefir products!! i have heard so many good things about Keifer and really want to try it. I need to pick it up next time im at the store 🙂 love the projects you made ! Very cool! Thanks for the ideas! With summer almost upon us, I’m desperately searching for appropriate projects to do with my kiddos and help keep them busy and away from the dreaded Boredom! Lol! Now I will definitely be making one – and checking out the Kefir too – of course! Such a cute idea. I just love the sconce with the dried flowers. I’d love to make something like that! This is a new product for me but I’ll will look for it at the market. Super cool! I love the way you took the carton and made some thing cool out of it! I’ve heard mention of kefir, but had absolutely no idea what it was. Thanks for the informative article! I will be looking in my local natural supermarket for these next time I go. I believe strongly in probiotics, and have taken acidophilus supplements for decades now, and their benefits have kept my gi tract healthy. It will be great to have these Probugs as a healthy treat! i have tried kefir. but another brand. i liked it, good for my digestion. 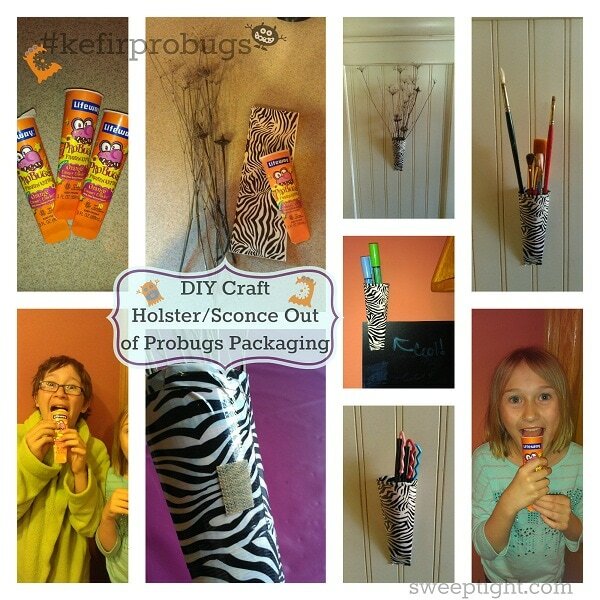 These craft ideas look very fun. Thanks for sharing! silly me..i always thought kefir was yogurt!! thanks for the info!